Most of the World‘s cultures including modern Western European one creates, concentrates and express their progress in creating cities. Urban architecture, the way of communal life and their traditions generate the beauty and the value of the cities’ whole. Cities were developed through centuries by many people and historical events. All their destinies are quite different. Cities with thriving fortune eventually become the most beautiful, largely desirable destinations to visit, see, cognize and understand. Such cities are most precious, as they reveal human relationship and culture – joy of life. Most gorgeous and dear cities of the world are inscribed onto the history of humanity. Such list is the UNESCO’s World Heritage List. 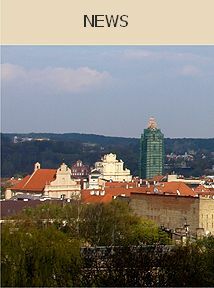 Vilnius was inscribed onto it in 1994. 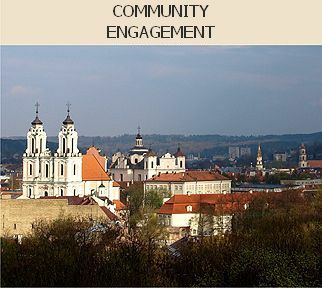 Vilnius Old Town Revitalisation Strategy was prepared by the group of international experts with the support of the World Bank. The Strategy provided for the need of setting up an Old Town Renewal Agency, which was established in 1998 by Vilnius City Municipality.